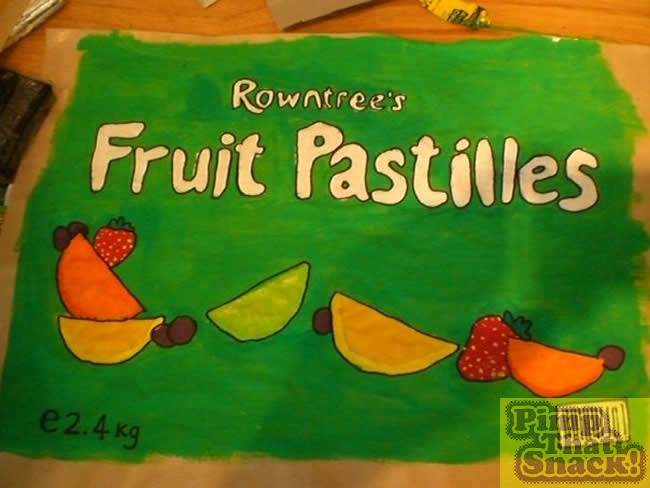 Learn more about Fruit Pastilles (Rowntree's) at Snackabase.com! With our finals over, and our University days fading fast, we knew we had to act quickly if we wanted to achieve what had been our dream for over 2 years... pimping a snack. 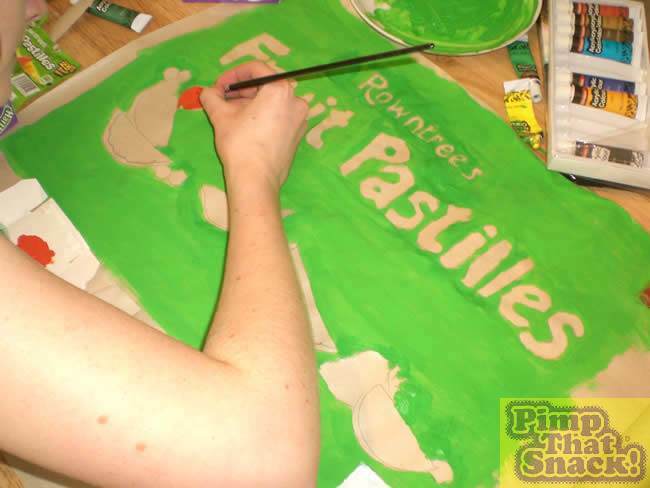 And what better snack than everyone’s favourite pastille. Yes, this may have been attempted by others before, but that only made us more determined to achieve great things. 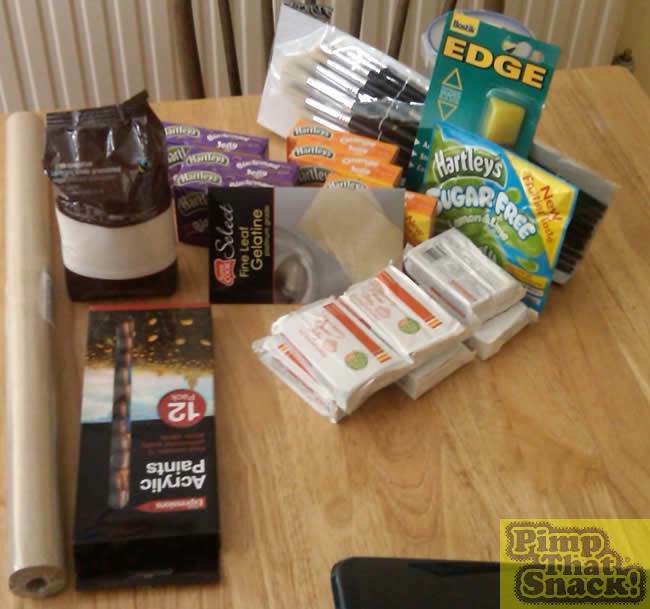 The first part of our epic mission involved hitting the convenience stores of Exeter, where we purchased as much jelly as the remainder of our student loans would allow, as well as plenty of supplies from Poundland for the pastille packaging. 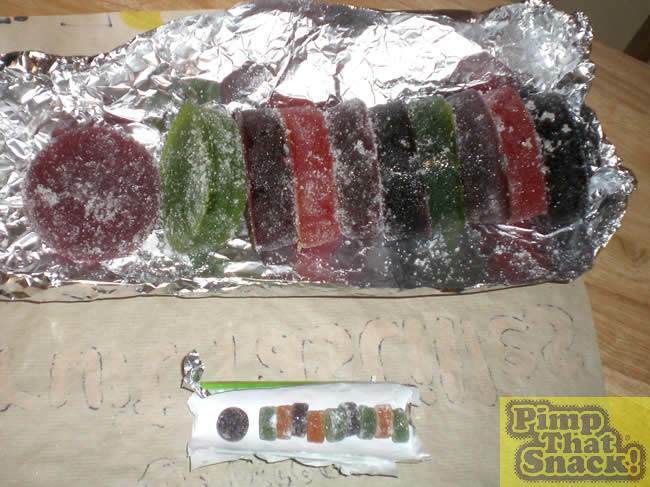 As you can see, as well as the normal jelly, we also splashed out on some ‘platinum grade’ gelatine, to make our pastilles extra chewy. 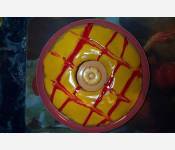 We only used a dash of water when making the jelly, and then melted it in the microwave. 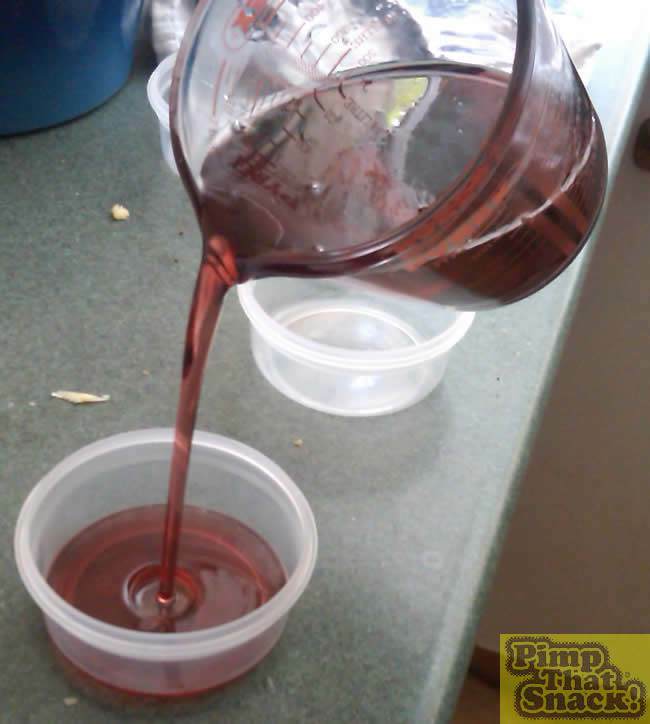 We then stirred in the dissolved gelatine. 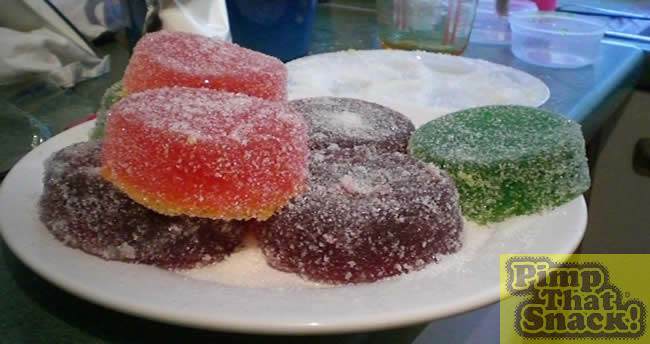 Poundland was again our saviour when it came to finding the perfect pastille-shaped mould. 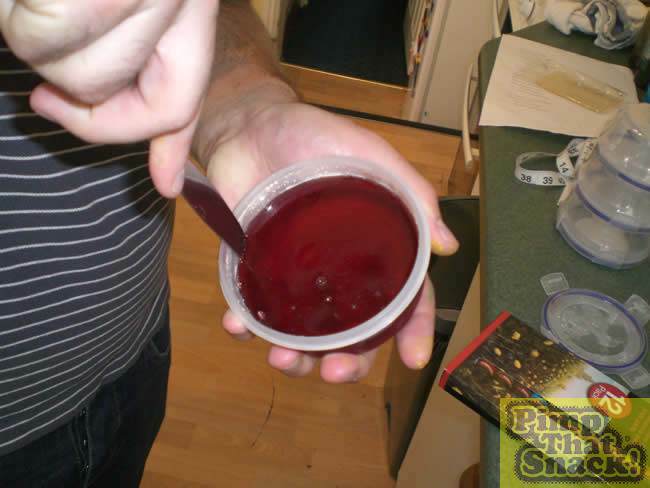 We bought a few round storage containers and filled them up with our super jelly mixture, and then put them in the freezer to set. Why the freezer? Well, we are very impatient people and we needed results fast. 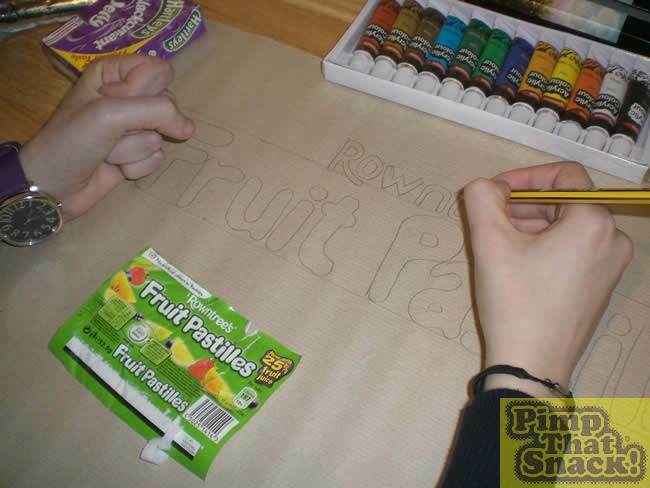 While we waited for our pastilles to set, we began on our hardest task - the distinctive fruit pastille packaging. We used brown paper (the sort you wrap a parcel up in... it was the cheapest) for the outside, and then began the job of sketching it all out in pencil. 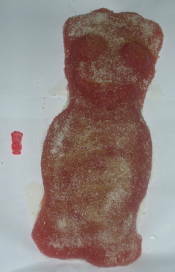 After checking on the progress of our little jelly creations in the freezer, we set to work with the painting. I don’t think any of us would claim to be mega-arty, and so this had the potential to be a complete disaster. And we all knew that the packaging is what makes a snack-pimp truly great. We think it didn’t turn out too shabby. We did run out of (green) paint half way though, and had to venture back into the jungle that is Poundland for some more. We used acrylic paints and outlined everything with a Sharpie. A few hours later, and our jelly was set. 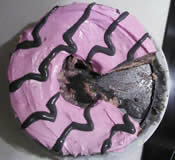 We used a knife to prise them out of their cases, and set about covering them in sugar. 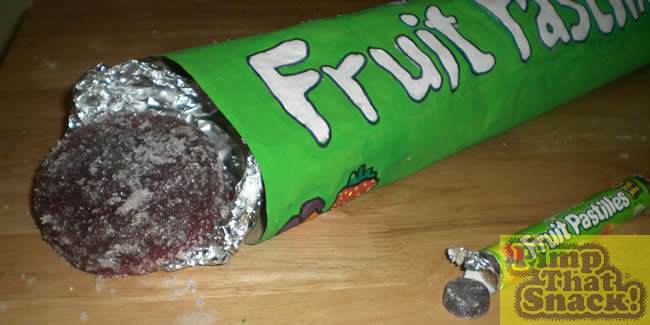 We used granulated sugar to try and get that fruit pastilley effect. Messy business. And here is one of the finished pastilles, next to a regular sized one. 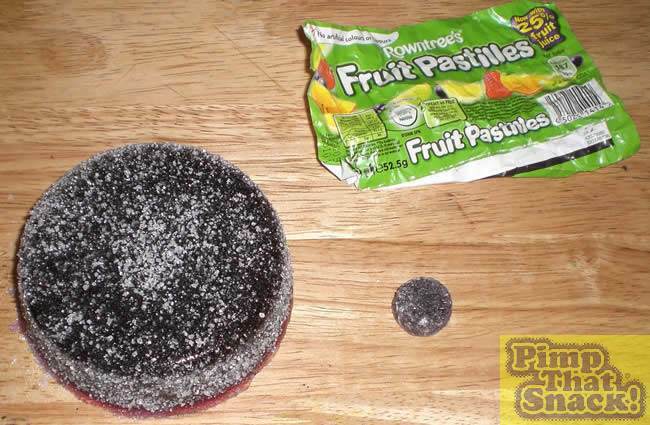 The mathsy one of the group has calculated that you could fit 32 of those little babies in the super pastille. Obviously we purchased a normal sized tube of pastilles for the obligatory comparison shot. Fact: The entire packet contains an estimated 4500 calories. Delicious. Only one of us was brave enough to volunteer to taste-test our creation, and she will happily verify that it did taste like a fruit pastille, apart from the crunchy sugar. 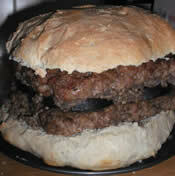 If you feel like re-creating this beauty yourselves, we definitely recommend trying some caster sugar. There you have it. Dream achieved. And even now, 2 years after this pimp was created, our good friend Lexie keeps insisting that never again will we achieve anything anywhere near as awesome as this. And she could quite possibly be right.